The next day, Matt and I had to get serious about taking care of some chores. We especially needed to get more water, as we were completely out. Since it was only an hour away, we decided to go to Faro Blanco Resort and Marina, which was well-known for its hospitality towards cruisers. Matt HATES going into marina's and avoids them like the plague. Backing our boat in tight quarters, particularly surrounded by mega-yachts makes his eyes bug-out and start twitching at the corners. 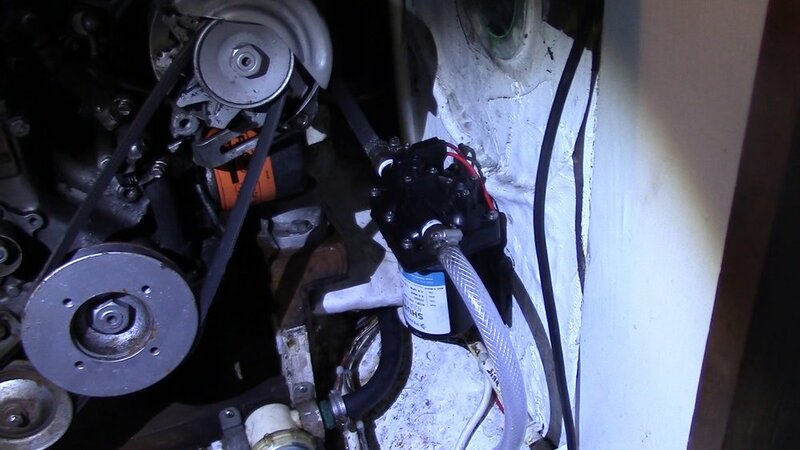 But we had yet to finish installing our water maker and we also needed to top off the fuel tanks. Thankfully, Faro Blanco had a fair amount of space and was pretty laid back with where they wanted us to tie-off. They also have a 4-hour dock and dine policy, but were pretty lassiz-faire with this rule and were happy to let us hang around for most of the day as long as we were back before sunset. While the overall air of Faro Blanco was laid back, the maintenance was not. The facilities were in good condition, the hookups were easily accessible and the docks were immaculate. Furthermore, the marina is quite unique, as it sports a small functional lighthouse at its center. This lighthouse features a green light and even has rooms available for guests. After filling up on water and diesel, we decided to grab some lunch at a famous restaurant nearby called Seven Mile Grill. Seven Mile Grill was established in 1954, when few people even came to The Keys. It's famous for its Greek food, but I couldn't resist the temptation of a fried Mahi-Mahi sandwich, nor Matt a sweet, juicy burger. We were not disappointed. After lunch, we headed to West Marine, where we got a number of over-priced supplies, including a new water pump to finish installing our deck shower. With so many luxury yachts at dock, Matt was certainly nervous, but with a little help from the marina staff, we were able to back out perfectly and slide out of our slip like pros. We both breathed a sigh of relief when we were safely away from the docks and expensive boats of the marina. Our next destination was Banana Bay Resort and Marina, a dinghy friendly marina right across from Publix and Home Depot. We dropped the hook south of Rachel Key, a small, uninhabited rookery island. The spot was peaceful and even featured a beautiful Magnificent Frigate Bird that circled overhead to welcome us. Every marina has to have Pelicans. They can be pretty cliquey. 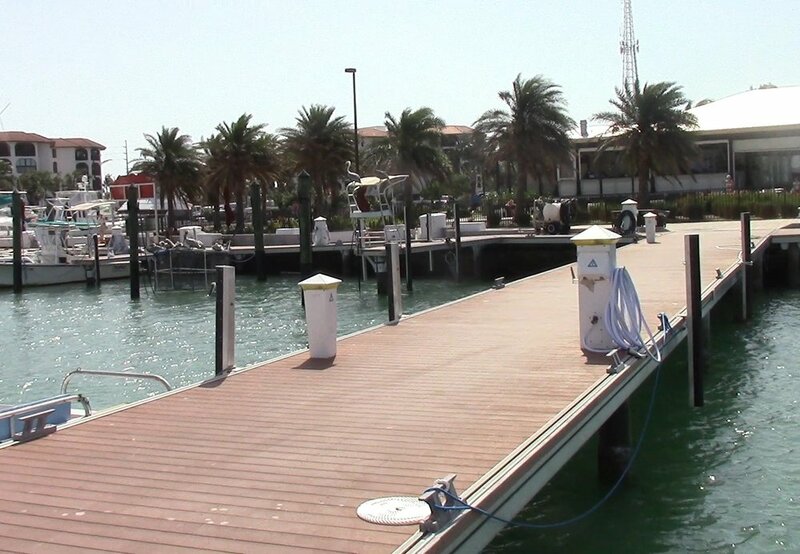 Faro Blanco Marina and their immaculate docks. The Faro Blanco lighthouse features a green light and rooms you can actually stay in. The pesky water pump, that cost us over $100. This is Ken and Nancy's wood power boat. They were lovely people to hang out with for the night. Inventor Matt is tired of fighting pumps. Rachel Key and a bit of Marathon on the right. Another Key Iguana. Yes, they can swim, he just wanted some sun. By the way, they are an invasive species in Florida. The famous Seven Mile Grill, with an amazing Mahi-Mahi sandwich. This shoal wasn't on our chart. Gotta always be vigilant.